Switzerland has an amazing rail system. Rail lines seem to cover every place, large and small, from valleys to mountain tops. The trains are generally clean and well maintained, and they run on time. 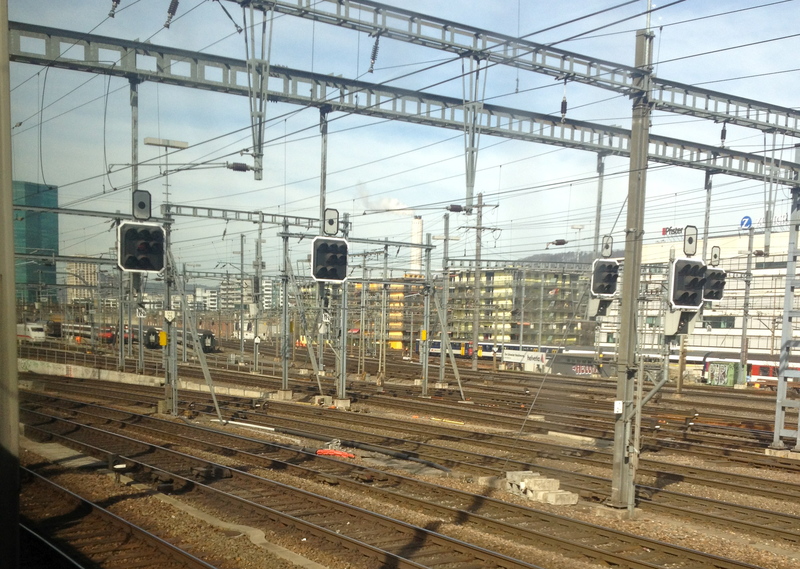 The Swiss trains ply routes that boggle even the minds of railroad engineers. Few other comparable examples of extreme railroad engineering exist anywhere in the world. 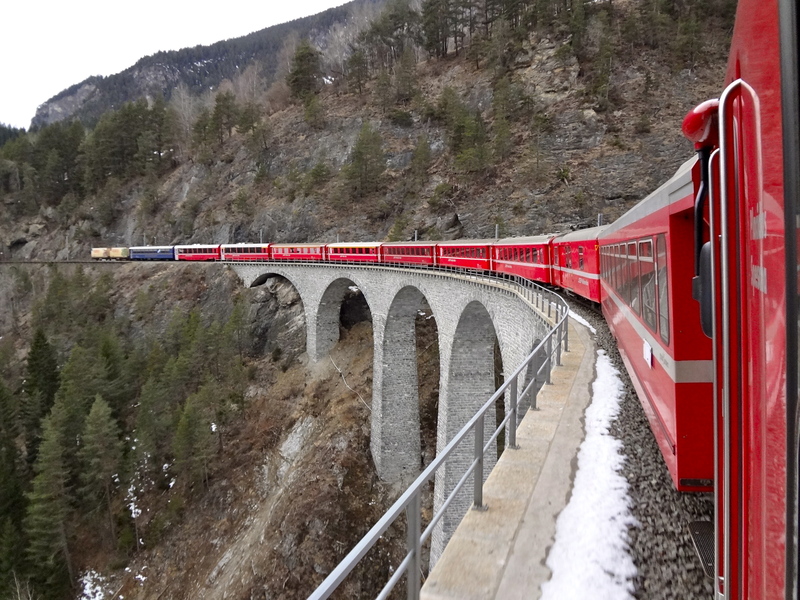 The Swiss rail system provides access to some of the world’s most beautiful alpine scenery. 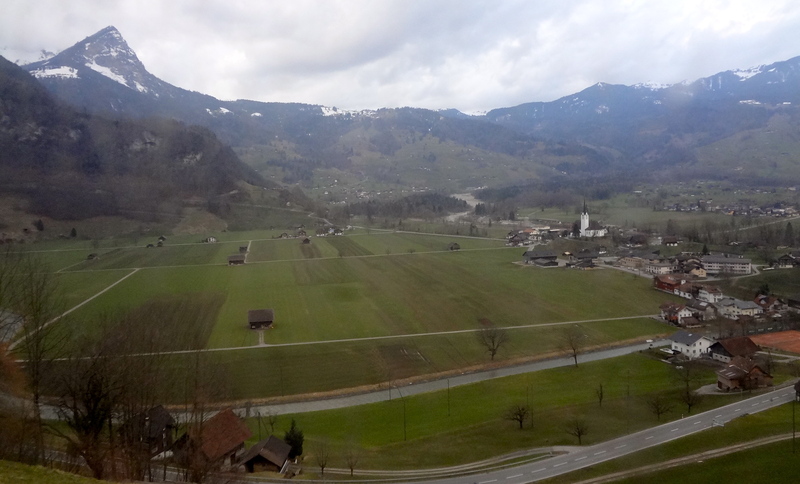 The Swiss Travel System publishes a list of eight suggested rail itineraries. And, now I’m delighted to say, I’ve done all eight (plus a few more). It seems, based on my most recent trip, I inadvertently saved one of the best for last. 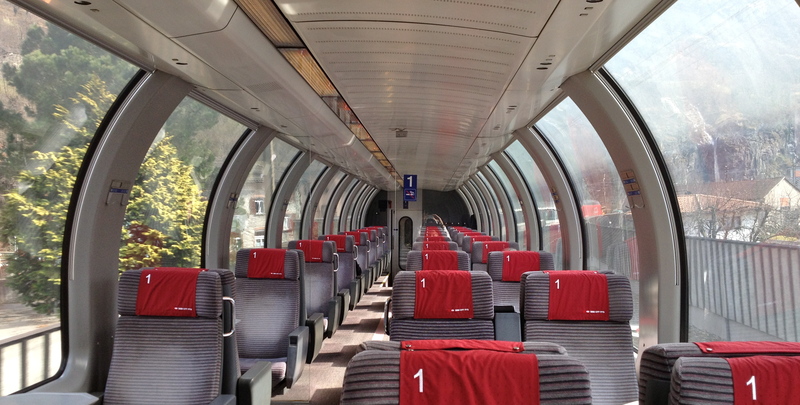 The best kind of SBB panorama car! Here is some information that I learned about each of them, and perhaps a worthwhile tip or two about each. One overall observation: Check out the trains you get on, to see what the best cars might be for viewing the terrain you will be traveling through. There’s an odd mix of double-decker coaches, old line rail cars, and dining cars mixed in with the occasional true panorama carriages (single-level, with large windows that wrap up over much of the top of the car). Sometimes 2nd class coaches (green trim) provide better viewing than 1st class (yellow trim) cars. 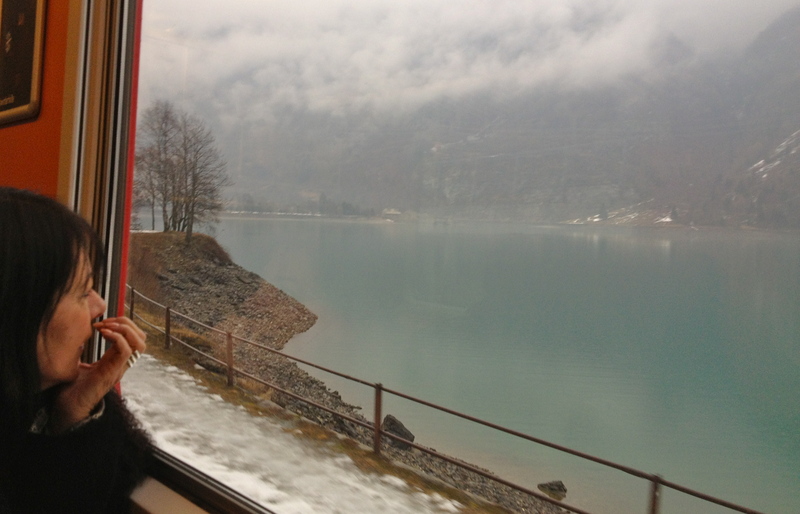 Bernina Express – Although various starting points are possible for this train, the Chur-to-Tirano portion is the best, in my experience. Although a reservation is “required” – according to the guide book – we didn’t have one. We also did not have to pay the CHF 9-12 surcharge. 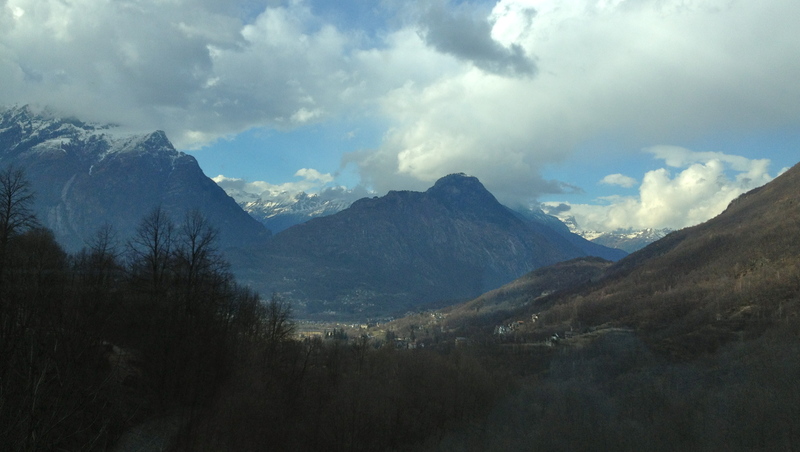 A note here about the “Bernina Express Bus” that is advertised that you can take from Tirano to Lugano, to re-connect with the Swiss rail system: Good luck finding it. 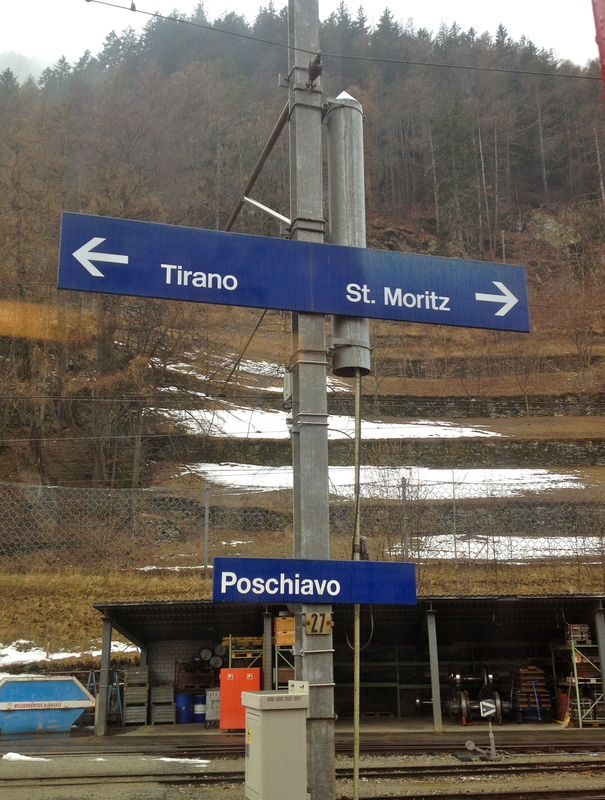 After you come out of the customs building at the rail terminus in Tirano, there is an inconspicuous sign that points you to the “Lugano” bus (it doesn’t say Bernina Express Bus). You go through a tunnel, and emerge at a bus stop on the other side of the rail station. There, a bunch of local Tirano buses come and go – but there’s no more information about the Lugano bus. 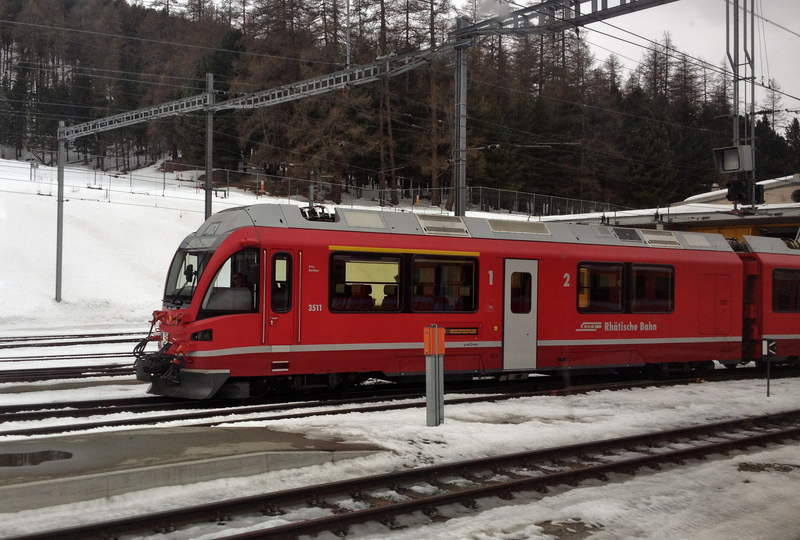 The local bus ticket office clerk professed to have never heard of the Bernina Express Bus. The best we can figure is the bus runs once a day in summer, at a cost of CHF 12 for a ticket, but god knows how to find out more about a Swiss bus service in Italy. Better idea: Take the local Italian train ride down through Valtellina to Lecco or Como, and get on a Lugano-bound train there; it’s probably less than 15 euro; we took it only to Varenna, then took a ferry boat to Menaggio, then a bus to Lugano. Very fun (in good weather). Speeding past a glacier-fed alpine lake. BLS Lotschberger – Speaking of the fate of old rail routes, the Lotschberg Base Tunnel between Brig and Bern has eliminated the need for the old Lotschberg grade route that goes up the side of the Rhone Valley. But the route is still used for sightseeing, and an auto/train ride. 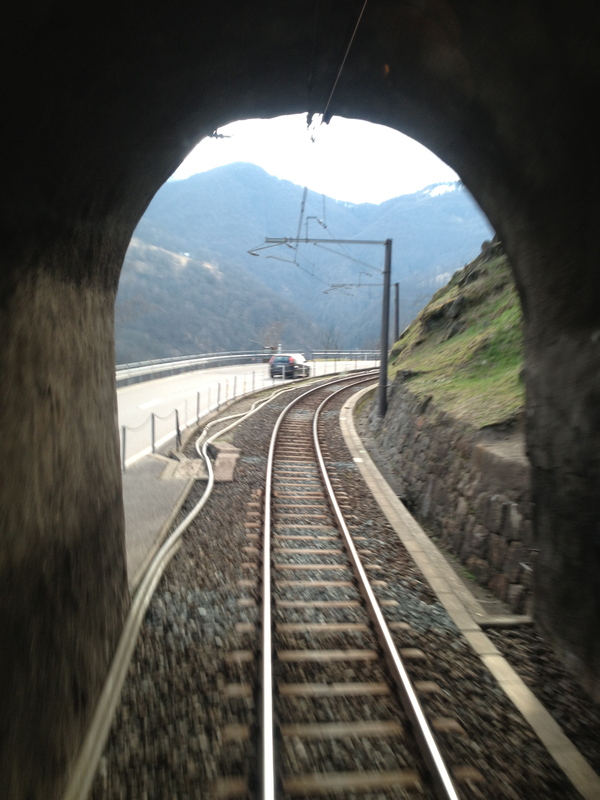 The auto-train goes under the Simplon Pass. Remember, a passport is required – but probably not asked for – on routes that cross back and forth between Switzerland and Italy. Try to coordinate travel days with good weather, to avoid clouds spoiling your view. The Swiss Rail Pass that I’ve mentioned several times here is a good value, available in any combination of days, and you can generally ride all over Switzerland without a reservation, seat assignment or a surcharge (Italy rail pass holders, by comparison, get nicked for all three, plus some mysterious taxes, on just about every route these days). A Half Fare Card is also a surprisingly handy alternative, if you aren’t going to be riding the rails all day, every day, in every direction. But that is really what I did for a week. What an experience!